Like all really good jokes, this had more than a hint of truth about it; Since the 1970s when he started issuing his carol arrangements to the world through the follow-up volumes to the iconic green Carols for Choirs book, the name of John Rutter has become so synonymous with Christmas that, like the cartoon choir boy, few of us could conceive of any Christmas carol concert or service without the ubiquitous Rutter carol arrangement with its saccharine harmonies and gracefully oozing instrumental descant (preferably an oboe or flute when an orchestra is present, or a sweet 8 foot flute stop when it’s just an organ). And as the years have passed and his stranglehold on Christmas tightened, so Rutter has added more to the repertoire than just mere arrangements; now we also sing his innocuous melodies and his own sweet words. 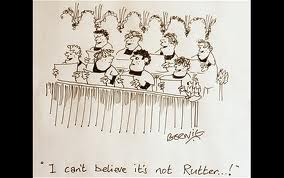 Christmas without Rutter seems as likely as Sea without Water. 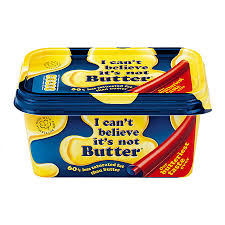 Having attended no less than five Christmas Carol events in the last week alone (in a Roman Catholic cathedral, an Anglican church, a school, on a beach and, most spectacularly, in Sydney Opera House) I feel as if reality is slipping from my grasp; for not one of these has presented even the merest whiff of Rutter. No saccharine harmonies, no gracefully oozing descants, no innocuous melodies or sweet words; at least, not of the John Rutter variety. David Willcocks (one of the original Carols for Choirs editors) has been represented in force, as have all the old favourites in their original versions (the ones choirs were quite happy to sing before the Advent of Carols for Choirs). On top of that there have been some novelties, some of which (Jan Sandström’s magical arrangement of Es ist ein Ros entsprungen magically sung by the massed voices of the Sydney Philharmonia Choir, Vox and the Festival Chorus dotted around a concert hall lit only by the atmospheric blue lights attached the choirs’ music folders, and Ben Parry’s arrangement of the Coventry Carol sung with lusty enthusiasm by the adolescent tenors and basses of the King’s School choir) will live in the memory long after Christmas has past, while others (Lin Marsh’s Diamond Bright and the almost frighteningly dreary Abigail’s Song by Murray Gold) I am desperately hoping will have faded from memory long before the first Christmas tree needles have begun to drop. But of Rutter? Not a hint. As conductor Brett Weymark put it during his extended pep talk to the audience at last night’s marathon (almost 3 hours) Sydney Opera House Carol concert, it is not the decorations, the tinsel, the cards or the window displays in the shops which put you in the Christmas mood, it is the sound of Christmas music. How right he is. With most stores putting up Christmas decorations months before the event, and Christmas cards now all too often sent electronically in that easy-come easy-go manner of all internet communication, these visual things have lost any meaning. But a choirboy singing the first verse of “Once in Royal David’s City” - a fulsome-toned lad by the name of Mack Holz is the best I’ve heard so far this year - a brass band playing “Silent Night” (with waves breaking on the beach and the noise of passing traffic and several fire sirens forming a distinctly un-Christmassy backdrop) and a robed choir intoning “Veni Emmanuel” as incense is wafted over an Advent wreath, has the goose bumps popping up as, once again, the magic of Christmas makes itself manifest, not through my eyes but through those more direct channels to the heart, my ears. Strangely, though, Christmas does not seem right without a “Shepherd’s Pipe Carol”, a “Donkey Carol” or a delicate arrangement of the “Sans Day Carol”, and much as all Rutter sounds so alike that after a while it all merges together like the ingredients of a particularly sickly Christmas Pudding, I really do miss it when it’s not there. Whether we like it or not, Rutter has become an integral part of Christmas and without his music, some of the magic seems to have gone. You can have too much of it, but like butter, Rutter used sparingly does no harm at all and actually makes a very welcome Christmas treat.